Fall has finally arrived here in Denver! After weeks of unusually warm weather confusing all the trees, the temperatures are getting cooler and the leaves are changing. It was so wonderful to see this family again for a session this year! The girls have grown so much since the last time I saw them and they were just as cute as can be. Mom had originally wanted to have our session downtown near the Museum of Nature and Science, since this couple got married there and is celebrating their 5th wedding anniversary this year. Yet the week ahead looks so rainy, cold, and downright gloomy, we moved it up this weekend. The one thing that got us was that darn wind and the poor littlest one did her best out there but eventually we called it a day. Before we moved inside, though, we got some cute photos of the sisters together and some great family photos I’m sure will be amazing for a holiday card! 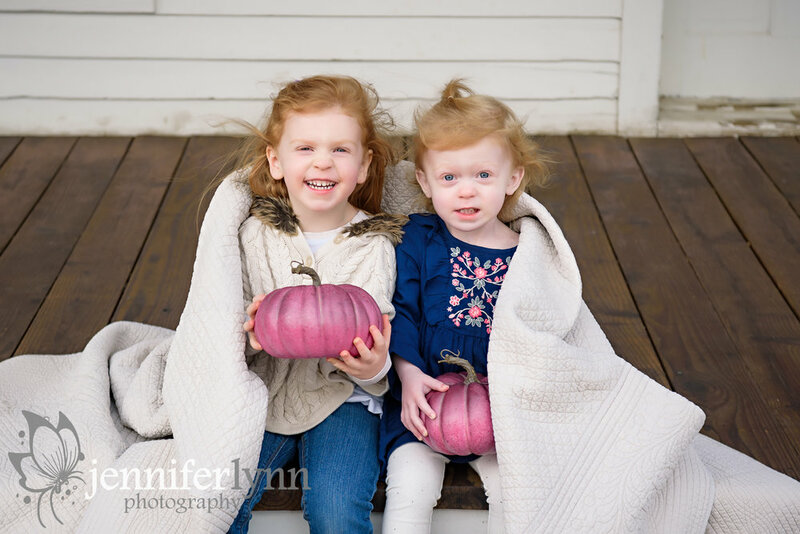 After we moved the session back to my studio, the girls warmed up and we were able to get a few more sibling and individual photos for mom and dad. And a token parent only picture, to hopefully show how far this couple has come in the last five years together. The last thing I promised the girls was a picture with some magic snow, so I hope they enjoy seeing it in their cute winter photo on my cedar sled. Thanks so much to this family for allowing me to be part of your family photos this year! And for being so flexible on moving dates and locations around on the fly. You have a beautiful family and I wish you a very happy anniversary!